CernOffice is a complete offering of architectural scale furniture for open and private offices. The Cern table (launched in 2015) served as a terrific point of departure for a complete furniture collection. 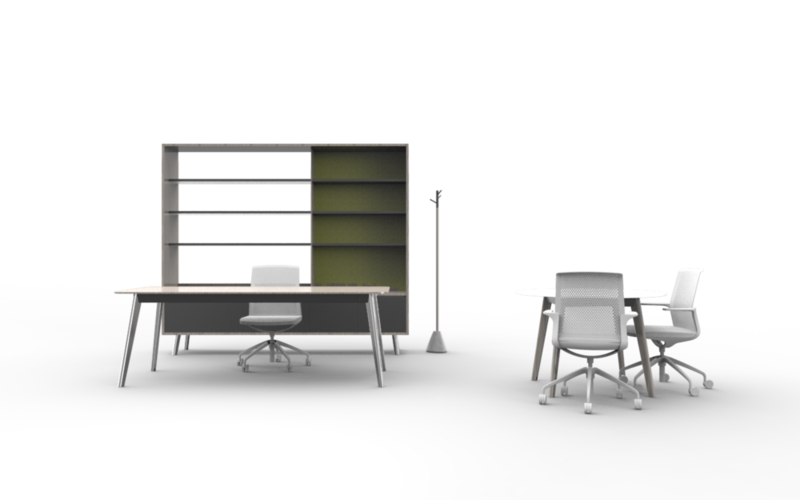 This collection has evolved from the private office, to furniture that can be flexible enough to create individual work spaces, room division, height adjustability and varied levels of privacy. A close look at the furniture pieces required in a private office setting gave rise to additional pieces such as free standing storage, bench, wooden rail table, coat rack & accessories and architectural scale, double sided shelving units. the need to create room division as well as provide desk support, lighting and storage. 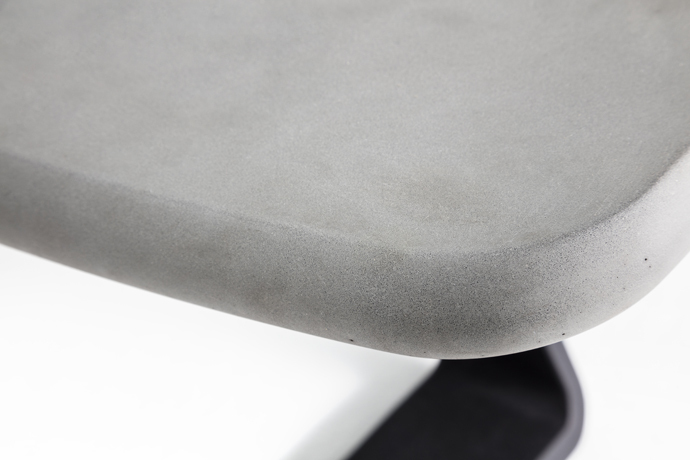 finer finishing and materials for smaller scale secondary tables in smaller spaces. somewhere to hang your coat to avoid hanging it over your chair when in places you may not occupy for long. CernOffice won SILVER at Neocon2017. The Cern themes of continuity and integration can be seen throughout the collection.